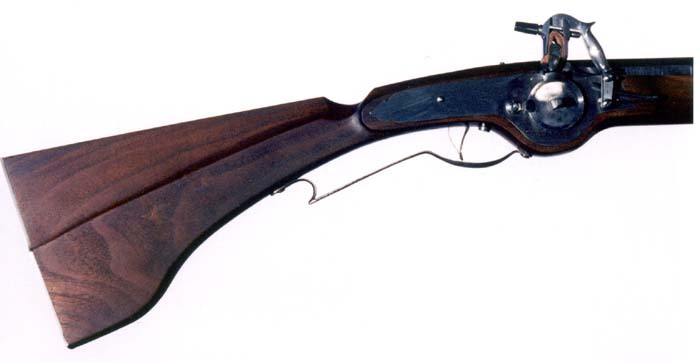 This is a nice Dutch wheellock hunting gun. It is hard to find wheellocks that hold as well as this one. The barrel is a 42" octagon to round, available in .62 caliber. 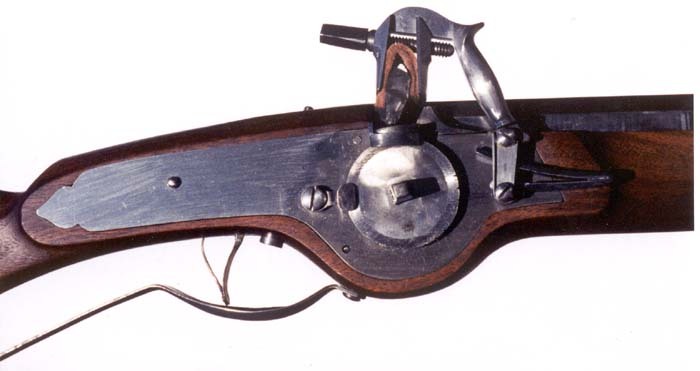 There have been quite a few wheellock parts found in excavations of the early Dutch settlements in America. We have several cocking spanners available in the back section of our catalog. The lock plate measures 8" x 2 3/8".